It was an premier evening of food, entertainment and wine this year at the Willow Park Wines and Spirits’ annual Charity Auction, held November, 7th at Willow Park. This year, Moulin Rouge was the theme and the charities of choice were the Calgary Herald Christmas Fund and the Alberta Children’s Hospital KIDsim program. To date, more than $3 Million has been raised through the event for local charities! Along with supporting our community, the auction was a fabulous opportunity to present guests with some of the best food in Calgary, complemented by a selection of world-class wines. The folks at Willow Park did an incredible job of transforming the store into an opulent La Rouge-inspired venue with dramatic décor, complete with live burlesque dancers. 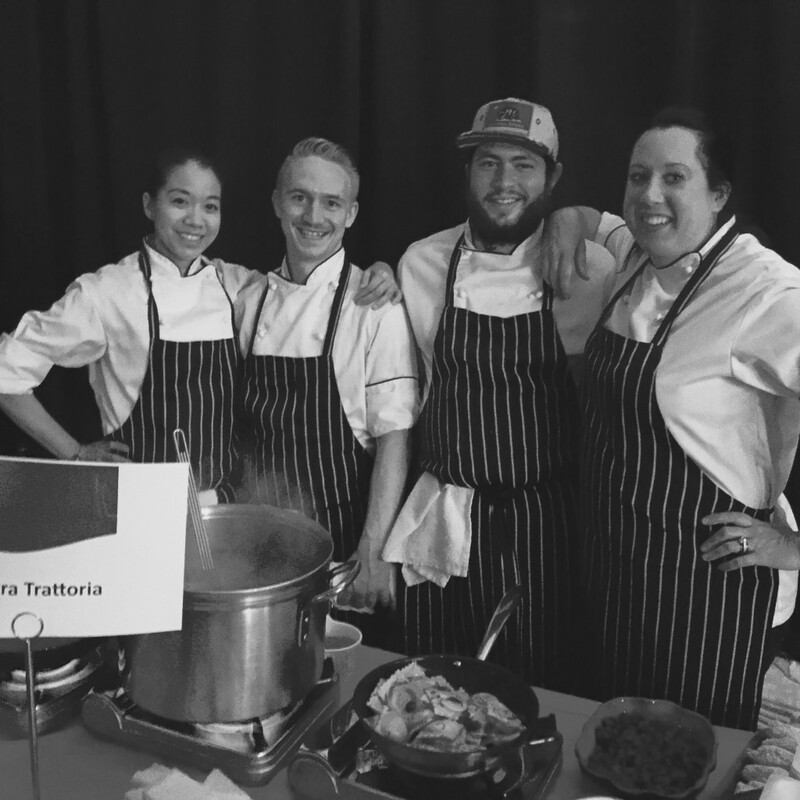 Bonterra Trattoria is annual supporter of this event and this year was no exception. Chef Ben Mills and his team did an amazing job serving our much-loved pumpkin ravioli with brown butter sauce, cranberries and pumpkin seeds along with wild boar meatballs in a tomato fresca sauce with grana padano cheese. Make sure you don’t miss next year’s event! Sign up for our newsletter to stay in the loop on this and other upcoming events.